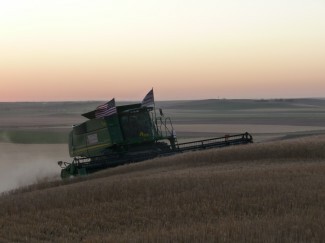 Farm Rescue has completed harvest operations for 2011. We are now accepting applications for spring planting assistance from farm families that have experienced a major injury, illness or natural disaster. The families we assisted this year were all very thankful for the assistance they received during an unexpected crisis. You may click on the links below to view a few (of the many) thank you letters that we received at our office this year. One of the letters is a beautiful poem written by Alissa Leier who is standing to the right of the Farm Rescue flag. 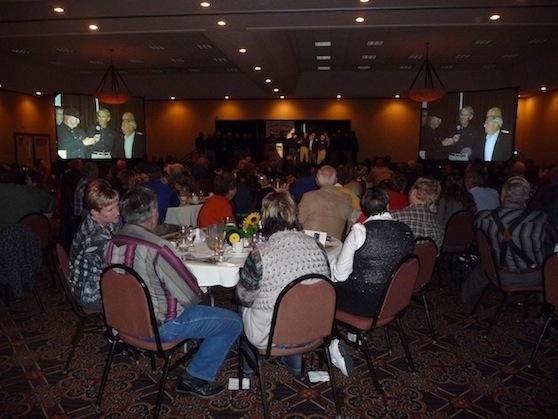 Week of October 10 - 16, 2011: This week ending with tears and laughter at the Farm Rescue banquet which was held in Bismarck, North Dakota. It was a wonderful event that included great food, testimonials from assisted farm families, recognition of volunteers, an excellent keynote speaker from Ohio (Hannah Crossen) and a very funny comedian from Minnesota (Maxine Jeffris). It was our best banquet to date! You will not want to miss our next banquet on October 19, 2012. Mark it on your calendars now. People from eight different states were present. Week of October 3 - 9, 2011: Farm Rescue volunteers were busy harvesting soybeans in Renville, Minnesota and Onida, South Dakota. Both harvest cases were farmers recovering from severe burns. (One electrical and one gasoline.) We welcomed Dale Lamphere from Canajoharie, NY to the harvest team. He has done a great job driving the combines and grain trucks. Dave Sette, Gene Spichke, Lowell Rothmann, Pete Von Bank, Charles Bartsch and Bill Gross were also among the list of volunteers this week. Week of September 18, 2011: Our Men in Blue were back in the field this week! Wil, a new volunteer from Montana, strengthened our ranks at South Heart. By Saturday, he, Louie and Jay had the durum in the bin. Meanwhile up north, Charlie and Bill K. moved equipment on Saturday from Kief to Berthold. Farm Rescue will start durum harvest next week for a young farmer that was buried alive when the walls of a water line trench caved in on him. He suffered a broken femur and hip but is very lucky to be alive! Week of September 11, 2011: Field operations were at a standstill virtually all week. Jack was able to harvest a bit at South Heart on Monday, before weather and crop condition halted activity. He and his family headed back home to Kentucky on Thursday. Have a safe journey! Week of September 4, 2011: Our Minot-area volunteers wrapped up the harvest at Kief on Monday -- yea! Monday also brought the arrival of the Limke family of Kentucky. (My how their sweet daughters have grown!) 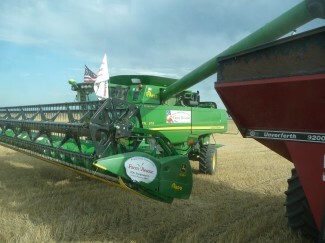 The Limkes and Louie headed to South Heart and began harvesting durum for a family that is dealing with breast cancer. They were able to get in the field Wednesday and Thursday, but had to park the combine the rest of the week due to inclement weather. Week of August 28, 2011: Gene, Warren, Bill K. and Charlie continue to harvest wheat in spurts at Kief as the grain turns and weather cooperates. As of Saturday, they had just 70 acres left to go. Hang in there, guys! 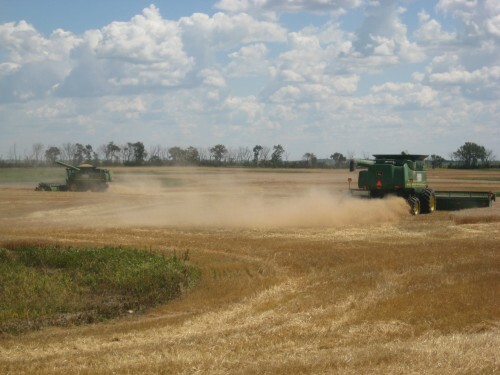 Week of August 21, 2011: Our Men in Blue put in a very full week with combines running at Kathryn and Kief. Scott (a new volunteer from Missouri) flew in on Sunday night. 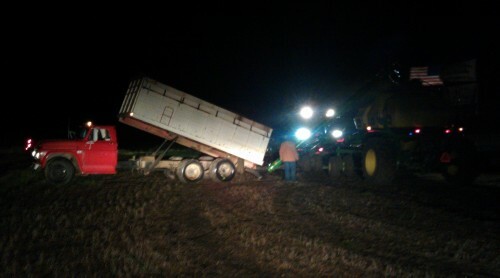 Come morning, he was in a truck pulling a combine header to Kief. And Pete led the way northward with the combine loaded on the Farm Rescue semi. When they arrived at the farmstead of a farmer who was injured in a motorcycle accident after tangling with a deer, Gene, Bill K. and Warren took over and began the wheat harvest. Our reliable Andy from Oregon drove in on Monday morning and proceeded straight to the field with Louie. They harvested through Friday night for a farmer at Kathryn who is recovering from torn knee ligaments. Scott joined the dynamic duo as chief truck and grain cart operator on Monday evening. He was forced to eat ice cream every night by Lou (aka Louie). On Friday, Scott flew home and Al was the designated pinch hitter in his stead. Andy also departed for the West on Saturday. Thank you, Men in Blue! You truly are a blessing. Week of August 14, 2011: After a six-day rain delay, Farm Rescue volunteers were back in the field on Thursday to harvest almost 900 acres of wheat for a paralyzed farmer from the Jamestown-Spiritwood area. Louie and Dustin kept the combines running through Saturday, until Clarence could knock down the remaining acres on Sunday (August 21.) Great teamwork, fellas! 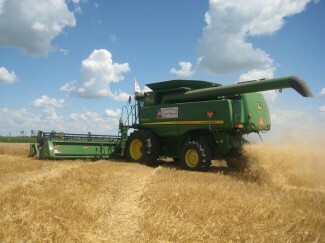 Week of August 7, 2011: Charlie H. and Bill K. finished the 250-acre wheat harvest at Sisseton on Monday. Meanwhile, Charlie B. and Pete trucked equipment from Pierre, SD, to Jamestown. On Tuesday morning, Pete revved up the Freightliner and he and Charlie B. headed to Hankinson to transport a second combine to Jamestown. 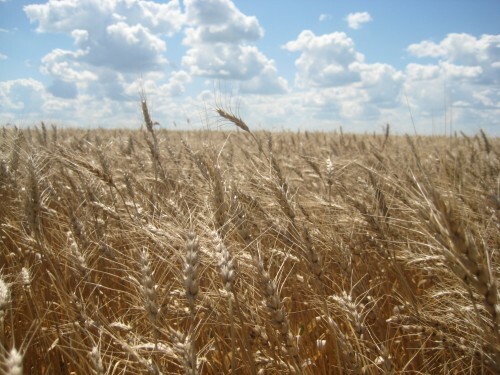 That evening, Charlie B. and Bill K. began harvesting wheat for a farmer that is paralyzed from the chest down. Days before, the farmer fell from a faulty ladder while repairing tin on a pole barn roof. By the next morning, Dennis & Pete H. - a father and son from Portland, ND, who actively farm - joined Bill K. in the field as Farm Rescue combines rolled through the wheat. Louie arrived on Thursday and stayed the course until rain shut down operations on Friday. Week of July 31, 2011: RDO Equipment Company trucked a combine to Rosholt, SD, for Farm Rescue, while Tyler pulled the header. On Thursday, good ol' Charlie H. flew solo and harvested a small field for a farmer with a foot injury. 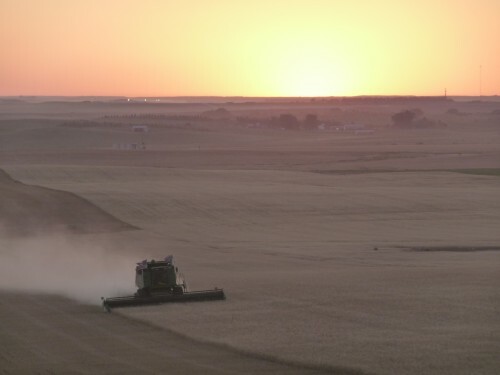 The next day, Charlie and Steve began harvesting a wheat crop at Sisseton, SD. The farmer there was healing from recent back surgery. Much to his dismay, he was under strict doctor's orders not to lift a thing but was glad to watch his crop come in. Week of July 24, 2011: Busy watching the crops grow. Week of July 17, 2011: WE ARE BACK IN THE FIELD ALREADY! 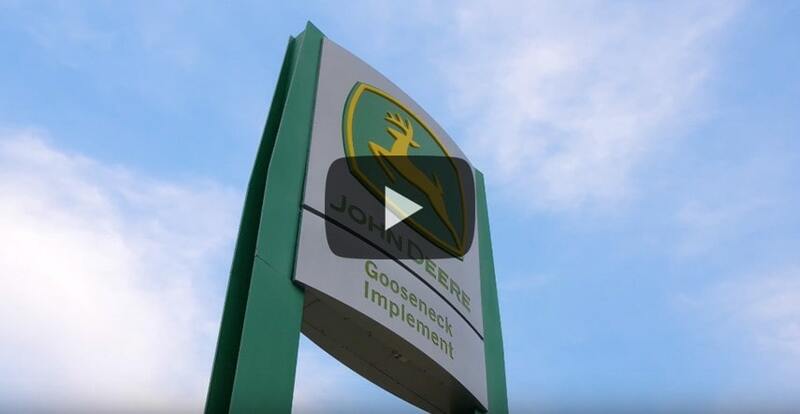 A little more than two weeks ago, we returned tractors and air seeders to RDO Equipment Co. We were in sit-back-and-watch-the-crops-grow mode when we received a call about a farmer from Pierre, SD. 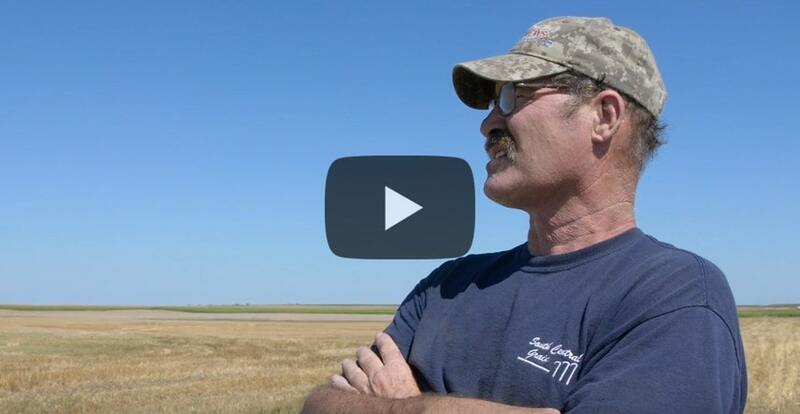 He needed harvest assistance with his winter wheat crop, while recovering from neck surgery after an ATV accident. 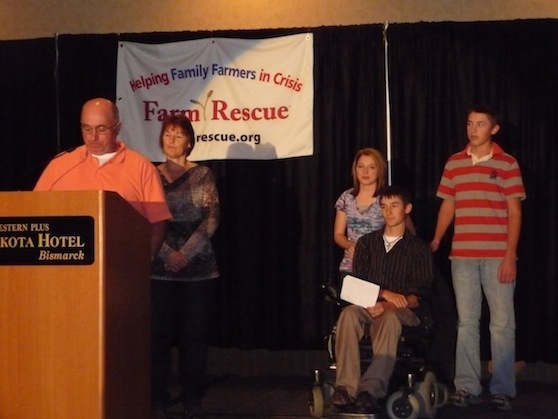 Weeks of June 12, 19 & 26, 2011: Farm Rescue volunteers moved equipment to Rogers, ND, in an attempt to plant more acreage for a farmer dealing with severe respiratory issues. Untimely rains unfortunately made it impossible to get back in the field, and volunteers returned equipment to RDO Equipment Co. on June 27. Farm Rescue is thankful to have a very watery spring behind us, and happy to have assisted 17 farm families this spring. Week of June 5, 2011: Our Men in Blue got little sleep this week as they planted thru the night into the early morning hours at Langdon and Edmore. They seeded a 725-acre wheat crop at Langdon and 350 acres of canola at Edmore. It is nothing short of a miracle given persistent rain. On Wednesday, Pete and Bill K. moved equipment from Langdon to Glenburn. Today (June 11), Bill K. and Charlie will start seeding the sunflower crop of a family whose daughter underwent surgery at the Mayo Clinic for a brain tumor. Randy arrived for a second time this spring from the land of Kentucky to work the wheat fields at Edmore with Charlie H. In two days, they sowed 380 acres of wheat and then moved equipment to Edinburg where volunteers are helping an injured farmer who fell from a grain bin. Thank you Men in Blue for a job well done! 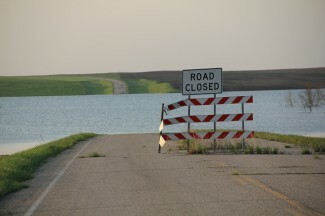 Week of May 29, 2011: Wet fields brought Farm Rescue operations to a virtual halt. A planting attempt was made at Rogers early in the week but quickly aborted. Jeff and Levi, Farm Rescue volunteers from Minnesota and South Dakota, arrived on Wednesday. 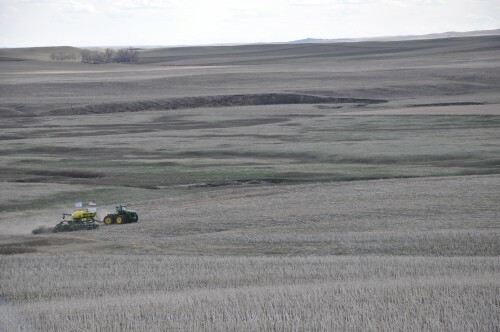 They moved one planting unit north to Edmore and started planting canola on Saturday for a farmer who is battling liver, colon and lung cancer. Longtime volunteer Charlie B. also put seed in the ground at Langdon on Saturday for a young farmer who suffered a stroke. Our goal is to be at cases in Edinburg and Glenburn by early next week if Mother Nature is willing! Week of May 22, 2011: Founder Bill Gross burned the midnight oil at Wilton on Thursday, racing to beat incoming rain. He planted far into the night for a farmer with a torn bicep tendon. Equipment had been parked earlier in the week, while volunteers waited for the rain to stop. Field conditions are muddy and seeding impossible in many areas of the state. Sherry Schaefer, owner and editor of Heritage Iron magazine (http://www.heritageiron.com) turned Farm Rescue volunteer equipment operator, was a welcome surprise this week as was volunteer Keith Donahue. Keith is a young man from California who is embarking on a dream to volunteer at a different nonprofit in every state of the union, Canada, Mexico, and D.C. on a four-month trip called "50Give" (http://www.50give.com/). His objective is to encourage more young people to volunteer, and to spread awareness about the nonprofits he serves. He is an inspirational young man with infectious energy, and we are honored that he chose Farm Rescue as his North Dakota leg of the journey. 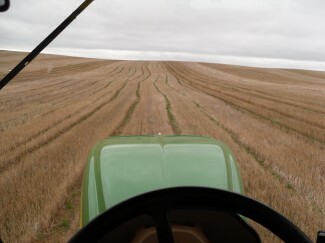 With the help of the Weavers' work earlier in the week, Charlie was able to finish planting canola at Flaxton for a farmer with pancreatic cancer. Volunteers started moving equipment today (May 27) to Langdon and Rogers. Families there are dealing with a stroke and respiratory issues. Carry on Men and Women in Blue! The finish line is in sight. Week of May 15, 2011: Volunteers dodged wet weather conditions all week, but managed to get crops planted for families at Hague, Halliday and Stanley. Jerry from Minneapolis, Steve from Florida, Bruce from New York, and the Weavers from Pennsylvania and Kentucky arrived this week to work alongside our longtime North Dakota volunteers -- Bill K., Gene, Warren and Charlie. Our Men in Blue put in long hours in the field for which we are most grateful. From time to time, they also share stories of their adventures in blue, including the legend of Big Bud...an enormous, boxlike tractor that roams western North Dakota. Charlie, Bill K., Dave S. and Brian from RDO Equipment Co. will testify to its existence. We think volunteers and volunteer camaraderie are priceless. 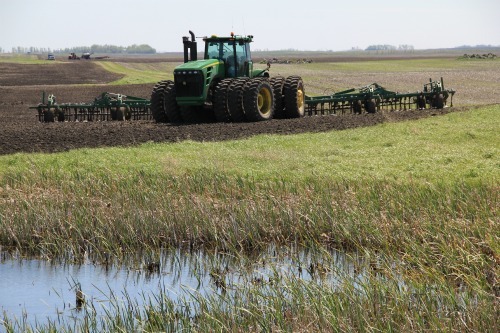 Week of May 8, 2011: The breathtaking expanse of western South Dakota seems to miniaturize our huge John Deere tractor and no-till equipment but not the determination of our volunteers to get the crop in the ground at Lemmon. New volunteers arrived from Arizona (Dave H.) and North Carolina (Raymond) to assist with operations. 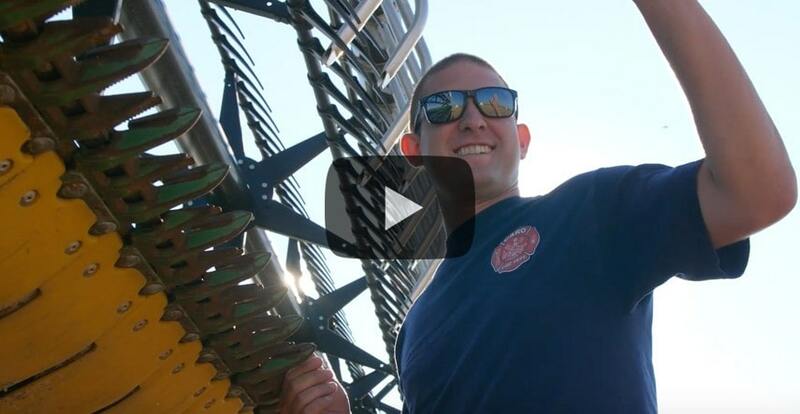 By Wednesday, our Men in Blue had equipment on North Dakota soil. They left in their wake happy farm families at St. Lawrence, Ipswich, Lemmon and Cavour. A special thank you goes out to Dave S. for burning the candle at both ends this week. For several days, he flew solo in the tractor seat from 7 a.m. until 1 a.m. It's 12 gold stars for you, Dave, and a whole lot of gratitude! 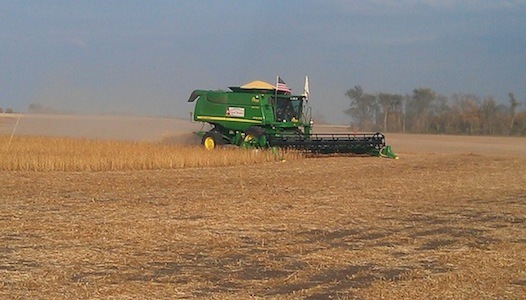 Dave S. and Dave H. planted soybeans on Wednesday and Thursday for a farmer at Hague, ND, who had part of his lung removed due to cancer. Rain has now halted planting operations for today (Friday), but hope springs eternal for drier weather over the weekend. 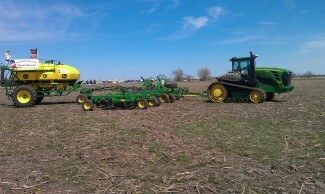 Week of May 1, 2011: The 2011 planting season for Farm Rescue officially began on Thursday, May 5! Farm Rescue volunteers were in South Dakota en masse, planting at Lemmon, Ipswich and Cavour. While Charlie, Gene and Warren got the John Deere equipment rolling in Lemmon for a farmer with a broken tibia and fibia, Dave (our Wisconsin volunteer) planted corn at Ipswich for a farmer recovering from colon surgery complications, while Jerry provided backup on the ground. Farm Rescue Founder Bill Gross and Ted (a new volunteer from Flandreau, SD) planted soybeans farther south near Huron with a new track tractor on loan from RDO Equipment Co. They finished in the field today (Friday) in great time and moved equipment to St. Lawrence, where volunteers will plant wheat for a rancher with broken ribs. Thank you to all of our sponsors and donors who have made another year of spring planting possible! It is GREAT to have our Men in Blue back in action helping family farmers in need.